A four colored pressed powder housed in a compact black case, the e.l.f. 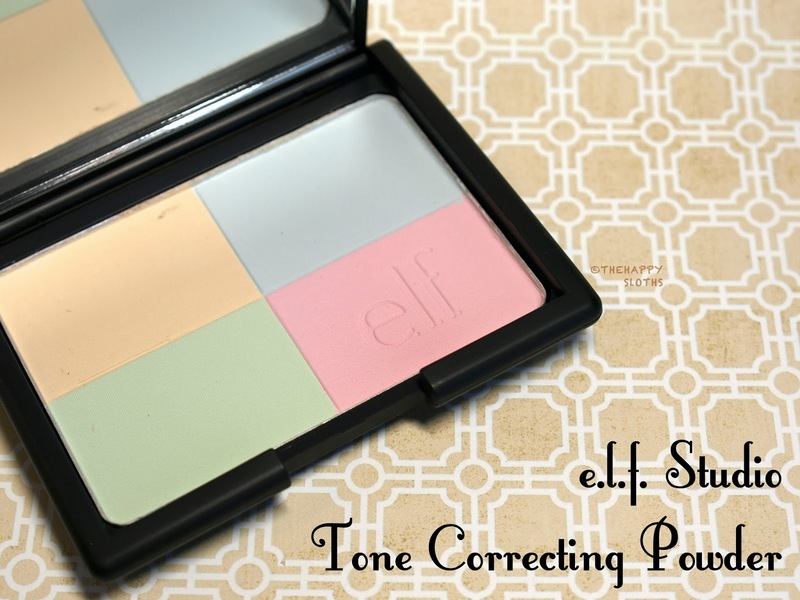 Studio Tone Correcting Powder promises to brighten, mattify, and neutralize the skin. 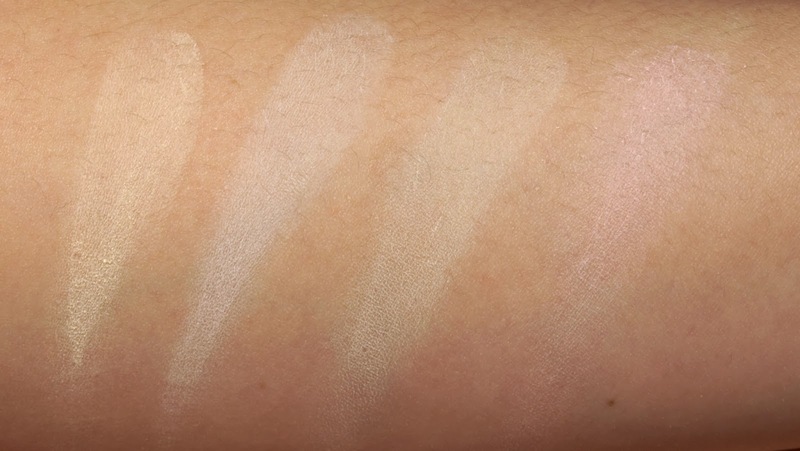 The four colors of the powder are light yellow, blue, green, and pink, and I believe together they have the ability to neutralize any redness on the face. I have tested the product and you can see the result below. On the left is my bare face. As you see I have some redness around the nose and some darkness under the eyes. 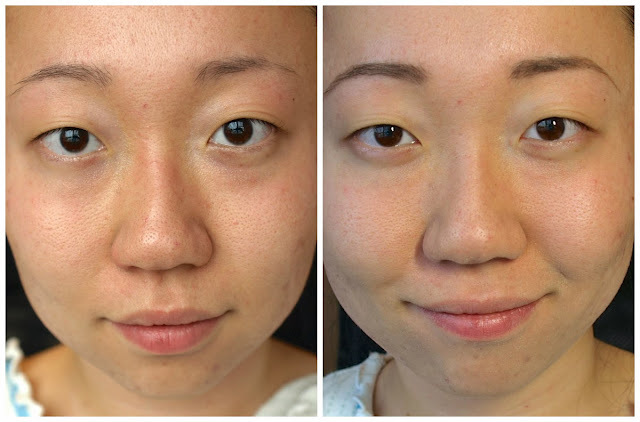 On the right is my face wearing only the Studio Tone Correcting Powder (I also filled out my brows with e.l.f. 's Studio Eyebrow Kit, review to come). I think the powder definitely mattified, brightened, and covered up some of the redness around my nose. It also significantly reduced the appearance of my pores. So overall this product is great for someone with fairly good skin to start off because the coverage/effect the Studio Tone Correcting Powder gives alone is not enough to cover up blemishes or dark circles under the eyes. With that said, I can still see myself wearing this with some concealer underneath to cover up my acne scars and under eye circles. The mattifying property of this isn't as strong as I would like. For me, the appearance of oil would start to appear in less than three hours. However, it is not bad for a $5 product so I definitely would recommend this! Alright, that's all for today, have you tried e.l.f. makeup before, did you like it? Let me know in the comments below!